On this page, you'll find everything you need to learn Japanese from scratch. and recommended Japanese resources with you. Learning Japanese may seem intimidating at first. Words seem strange and reading an alphabet you’ve never even heard of can feel like an impossible task. However, I can tell you from experience that learning Japanese is highly rewarding if you persevere. Believe it or not, Japanese is one of the most popular languages to learn among Westerners— many people have some exposure to Japan’s culture, and develop an interest in learning how to speak Japanese as a result. And rightfully so: Japanese is a wonderful language that provides access to one of the safest places in the world to live, numerous career opportunities, and a wealth of culture and entertainment. In this article, I’ll show you how to learn Japanese and provide you with a roadmap so you can get your foot in the door and succeed at learning the language. This language requires a true commitment to learning, but if you stick with it and practice regularly, Japanese will become an invaluable part of your life. What Are The Key Features Of Japanese? What Do I Need to Know About Japanese Culture? How Can I Get To Grips With The Japanese Writing System? What Pitfalls Do I Need To Avoid As A Beginner Learner? What Are The Best Resources For Learning Japanese? I’ll start by telling you about the fundamental aspects of the Japanese language and its culture. Then I'll look at one of the major challenges faced by all beginner Japanese learners - the writing system. Finally, I’ll finish with my recommended action steps to so you know how to learn Japanese quickly. First, it’s important to get motivated to learn Japanese, and what better way than to talk about some of the big benefits of learning the language. On your journey to learn how to speak Japanese, motivation is your fuel, and you'll need plenty of it! 1. Learning Japanese will improve your memory, concentration and self-discipline: If you can conquer the Japanese language, then you can learn just about any other language. The learning skills and habits that you pick up while studying Japanese equip you with everything you need to tackle other foreign languages as well. It goes without saying that you’ll be learning one of the world’s most valuable languages; but you’ll also be training your self-discipline, memory, and ability to think logically. 2. Japan has a rich culture and a thriving economy: Of course, learning Japanese also comes with more concrete benefits. 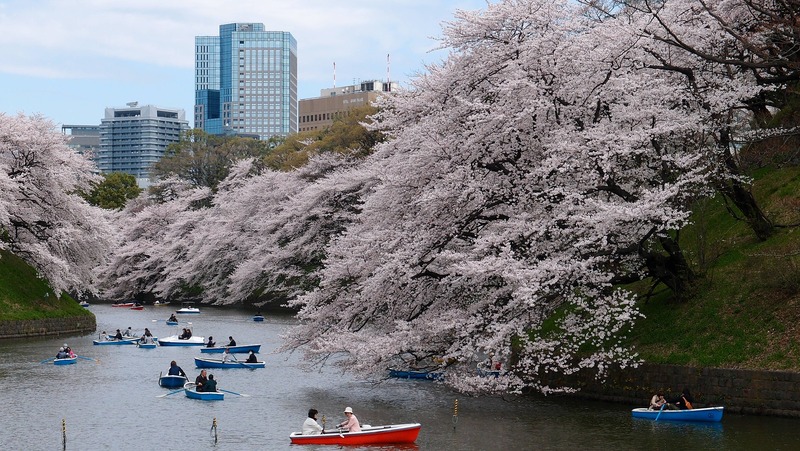 Japan is one of the cultural centres of the world, with one of the largest economies as well. It’s commonly considered one of the safest places in the world to live and the standard of living is very high. 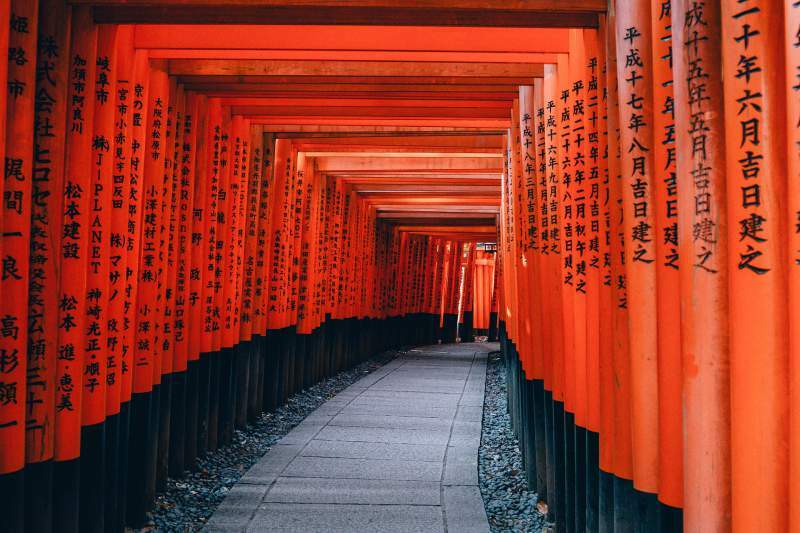 If you wish to travel to Japan, a command of the language can enrich your experience and provide you access to cultural and historical knowledge that might not necessarily be available in English! 3. Japanese opens the door to other East Asian languages: With a mastery of Japanese under your belt, making the jump to Korean or Chinese is much easier because you’ll have a firm understanding of how these languages work and how to go about learning them. Korean grammar is very similar to Japanese, and Japanese uses kanji characters which are borrowed from Chinese. 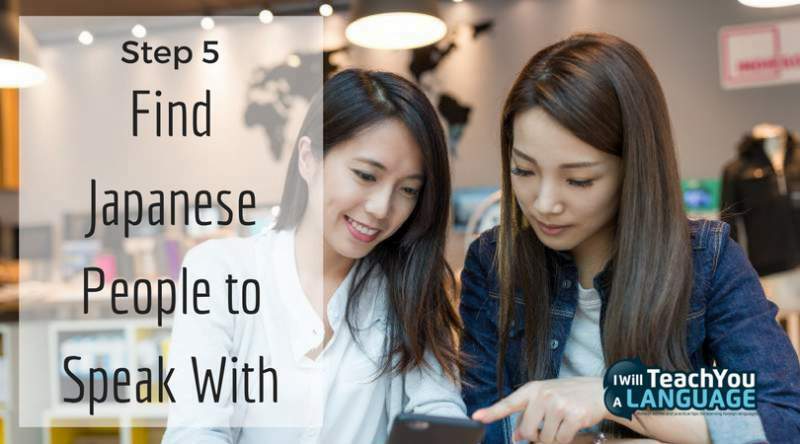 While these languages are not related to Japanese, learning them presents many similar challenges and your experience of overcoming those challenges while learning Japanese will make the task much easier if you go on to study other languages afterwards. 4. There are over 130 million native Japanese speakers: Japanese boasts the #9 spot for most native speakers in the world— over 130 million, almost all of them in Japan. But did you know only around 1 million speak Japanese as a second language? Japanese-English bilingual speakers are in constant demand across a variety of fields, making it a valuable skill to help advance your career, or start a new one! 5. There’s a whole world of Japanese culture and media to explore! : Japanese media is often the way people are introduced to Japanese, as well as their primary frame of reference for it. Japan has one of the largest entertainment industries in the world, but not everything is translated into other languages. Knowing Japanese provides you with access to a huge library of Japanese-only media! These are just a few of the major benefits of learning Japanese! Along the way, you are sure to find many more! You’ll develop reasons that are more personal to you and these will come to be your strongest motivators. What Do I Need To Know About Japanese? Japanese belongs to its own language family, known as Japonic. Within this family there are many dialects of Japanese that are spoken all over Japan. These dialects generally amount to small differences in grammar and the conjugation of verbs. The known history of the modern Japanese language begins sometime before the 5th century AD, after the Chinese language was introduced to Japan. Because Japanese shares little in common with most other languages, it is common to think of it as an “isolated” language. However, though Japanese has few direct linguistic connections, it has been influenced by other languages over hundreds of years, and it borrows many loanwords from them. As an English speaker you'll quickly pick up on loanwords from English when you start learning! You might be surprised how many Japanese words you already know! For example, you’re surely familiar with the word ‘pen.’ In Japanese, this is just ペン (pen)! There are countless other English loanwords in Japanese, so right from the start you can easily begin building your vocabulary with words that are already familiar to you. 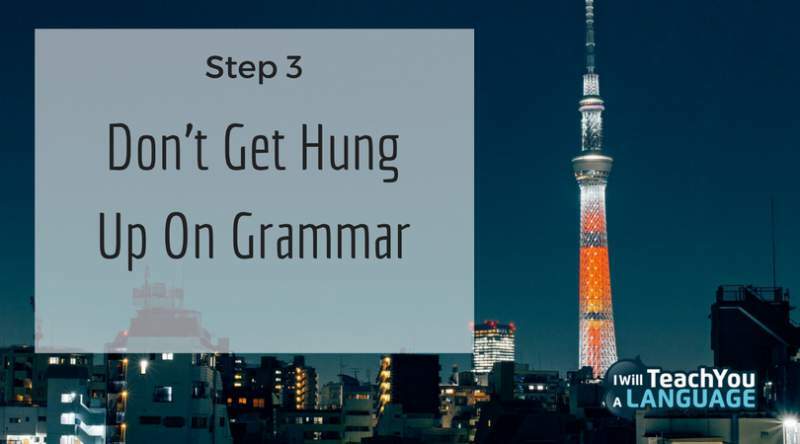 Now, let’s look at a few key aspects of Japanese grammar that you should be aware of when getting started. This can mean “I eat” or “I will eat” depending on context. But what if we want to say “I ate”? First, we drop the -る (ru) ending to get the verb stem 食べ (tabe). Use a verb stem and add a suffix to create various forms of the verb. All modifications to Japanese verbs are done with suffixes. The tricky part is learning the different types of verbs, and how to conjugate polite verbs. But that’s not something you need to worry about as a beginner. Compared to English, Japanese has very few irregular verbs and verb conjugation is very regular. There are less than 10 irregular verbs in common usage. Compare this to the hundreds of irregular verbs that English uses regularly. Of these 10 irregular verbs, only two or three of them are used very frequently. This means that Japanese verbs are very easy to conjugate once you understand the underlying logic behind them. You don’t have to worry about committing numerous irregular verb forms to memory—most of the time, all verbs will conjugate the same way. する (suru) - to do: To understand this verb’s irregularity, let’s compare it to the regular verb 食べる(taberu). As we saw in the previous example, 食べる(taberu) becomes 食べた (tabeta) in the past tense. However, する (suru) becomes した (shita) in past tense. Notice it’s not just the suffix that changes, the first character and the sound it makes change too. くる (kuru) - to come Similar to する (suru), くる (kuru) becomes きた (kita) in past tense. You can clearly see how this is different from the standard form. However, the similarity between how する (suru) and くる (kuru) change means they’re still quite easy to get the hang of. ある (aru) - to exist (used with inanimate objects) This verb’s irregularity comes from its negative form, which looks entirely different from it’s possitive form. It changes from ある (aru) to ない(nai), which you can read as ‘to not exist’. For English speakers, the genderless nature of Japanese verbs isn’t an issue, but singular/plural is a major feature of English. For example, in Japanese, the word 猫 (neko) meaning ‘cat’ and can also mean ‘cats’. This may seem like it would lead to confusion, but Japanese also has plenty of contextual clues that make it easy to figure out whether something is singular or plural. Note, however, that this doesn’t mean that Japanese simply can’t express plurality—quite the opposite! There are specific words within Japanese that are used to indicate singular vs. plural when it is absolutely necessary to do so. Pronunciation of words is very regular in Japanese. Unlike in English, all of the syllables are generally pronounced the same way, all the time. You don’t have to worry about silent letters or hard/soft consonants— when you read a Japanese word, 99% of the time it’s going to be pronounced exactly how it looks. In English, the way a word is written and the way it is spoken can vary quite a bit, and even words that look similar on paper can be quite different when spoken. For example, think about how we say ‘horse’ and ‘worse’… confusing, right? This character - た (ta) - is pronounced the same way in each of the words above. No guesswork involved. This same idea is applicable throughout Japanese, with very few exceptions meaning pronunciation is very straightforward once you get the hang of the different sounds. Japanese sentence structure is slightly different from what we’re used to as English speakers. This means that the verb always comes at the end of the sentence, which requires a mental shift in how you think about constructing sentences. Notice how the verb comes before the object? The verb is at the end, rather than being in the middle of the sentence. This is the pattern that all Japanese sentences will generally follow. In the example sentence above [リンゴ (ringo) を (wo) 食べた (tabeta)], you might have figured out that リンゴ (ringo) means apple, but what about that little character を (wo)? What does that mean? This is another important aspect of Japanese grammar - particles. In Japanese, particles are used to indicate grammatical function. These grammatical particles have no meaning by themselves, serving only to indicate the roles of words in the sentence. The particle を(wo) which you saw in the previous example is used to designate the direct object of the verb in a sentence. Particles are used to express all sorts of things. At first, they may seem confusing and difficult. But don’t worry, the more you practice the more you’ll get used to them. Very soon, you’ll be able to recognise the function of particles from seeing them repeated in lots of different sentences. Don’t worry too much about memorising them right now. The best way to learn particles is just to get lots of exposure to the language and notice when they appear. Japanese has a reputation for being tricky, and it has a few differences to get used to, but with steady practice, fluency is well within your grasp. An unparalleled mixture of rich ancient and modern culture gives Japan a cultural depth that has something for nearly everyone. Interested in the feudal era of kingdoms, samurai and shogun? There’s wealth of Japanese history to learn, see, and discover. Or maybe you’re more interested in modern Japanese culture, in which case there’s no shortage of wonderful Japanese TV, movies and music to dig into. Whichever appeals to you, you’re sure to find plenty of it to enjoy! If you are interested in Japan’s ancient and medieval history, you’ll find it has been remarkably well-documented. Over a thousand years of Japanese history are well-preserved in both ancient documents and historical records all across Japan. 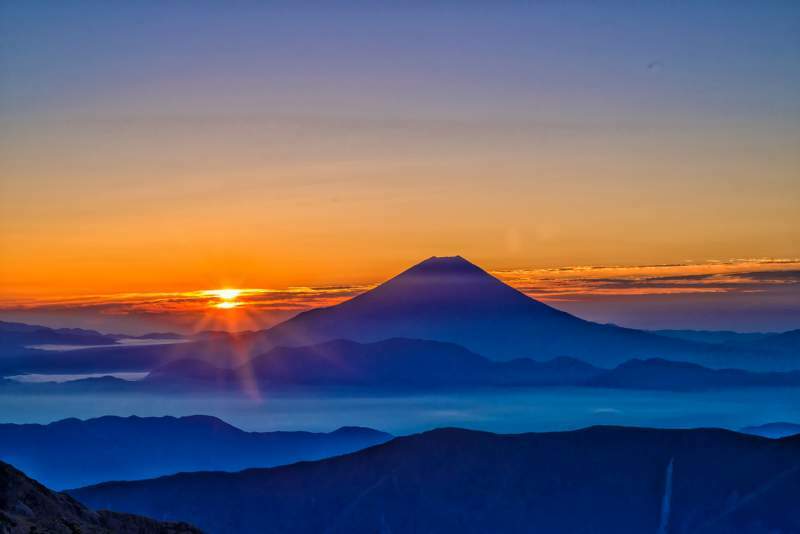 As tourism is one of Japan’s biggest industries, the Japanese put a lot of effort into making the country’s history interesting and accessible to visitors and other foreigners. Some of the oldest Japanese historical documents such as the Kojiki date back to the 8th century, providing a fascinating window into the world at that time. Similarly, more recent history includes eras such as the Sengoku period which is the subject of much historical fiction, and the Meiji period when the Shogunate was overthrown in order to transition from a medieval society to a modern one. 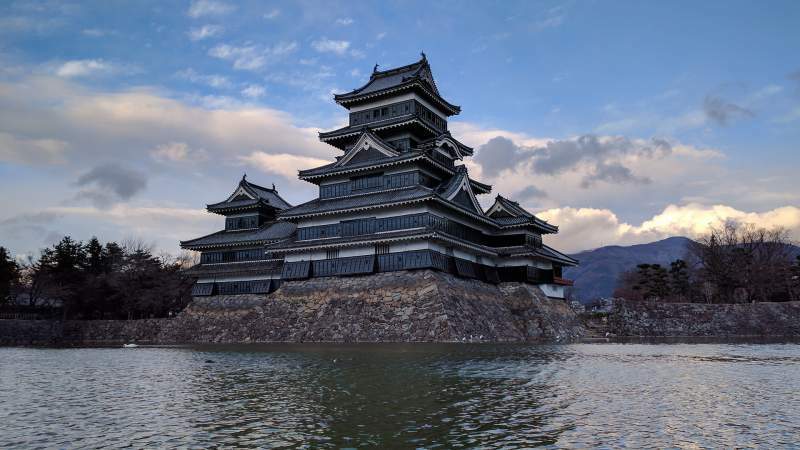 Perhaps one of Japan’s biggest cultural/historical attractions is the fact that its history is not just merely written. 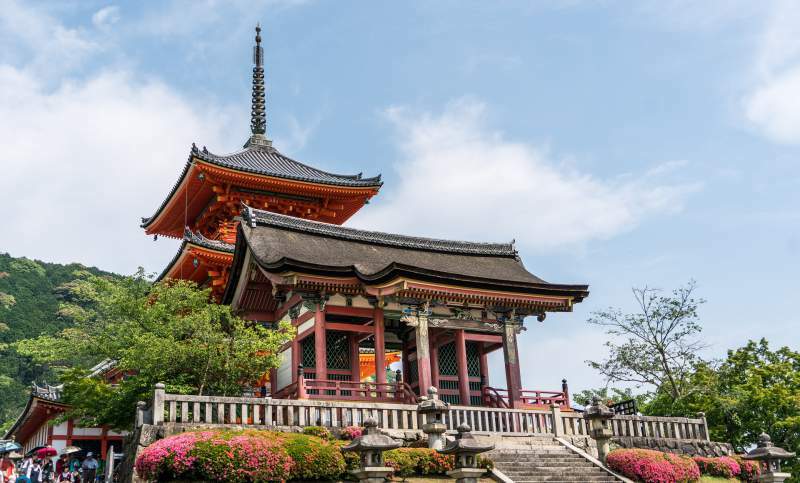 Hundreds of Japan’s important historical landmarks still exist today and you can visit them yourself! As a Japanese speaker, you’ll be able to more fully understand and appreciate the country’s history and the culture surrounding it. As you can see, Japan is abundant with history both written and tangible—but what about more modern developments? One of the most fascinating things about Japan is the preservation of tradition. Even in contemporary Japanese culture, the influence of the country’s past is evident. The Japanese go to great efforts to preserve traditional art forms and festivals. These festivals and traditions are “living culture” and are a wonderful way to get an up-close look at elements of Japanese culture that have endured for thousands of years. For example, the 'Tanabata' (Star Festival) that is held in July and August each year has remained virtually the same for over a thousand years. Additionally, there are many craftsmen all over Japan who create works of traditional Japanese embroidery, pottery, artwork, flower arrangement, and more! 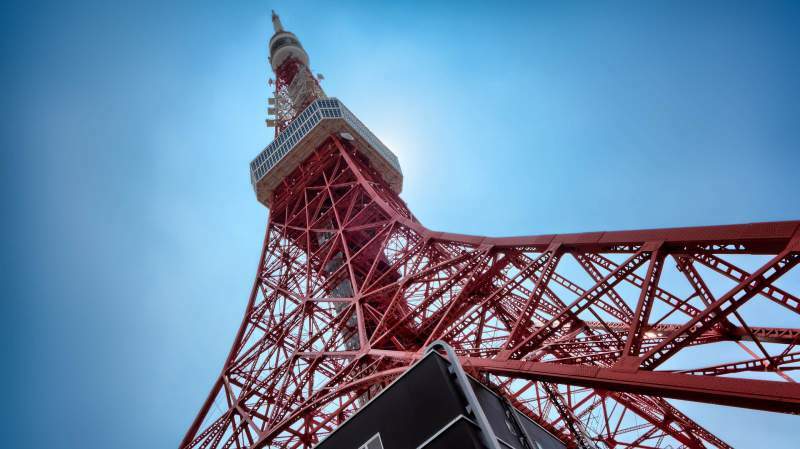 On top of this, Tokyo is the single largest city in the entire world with a population of over 33 million people and a wealth of modern cultural delights. This rich background of modern culture forms the basis for the final category, Japanese entertainment. If you’re interested in the Japanese language, you’ve likely had some exposure to Japanese media. 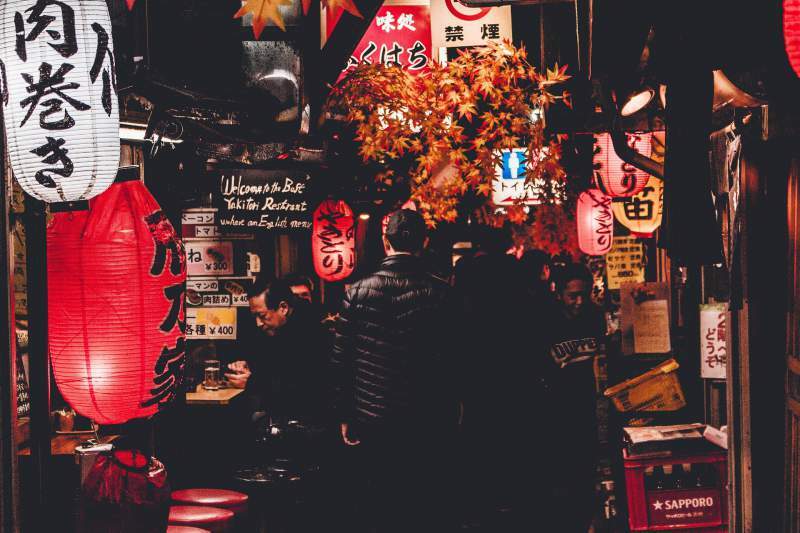 Since the 1950’s, Japan has experienced an astonishing cultural boom, and its entertainment industry is now one of the biggest in the world, and as a result, Japanese culture has had a massive impact outside of Japan’s borders. Japan is well-known for exporting its media, which has led to things like anime and Japanese video games attaining huge international popularity. It goes without saying that most people will have played a Japanese video game at some point, or seen some anime videos. 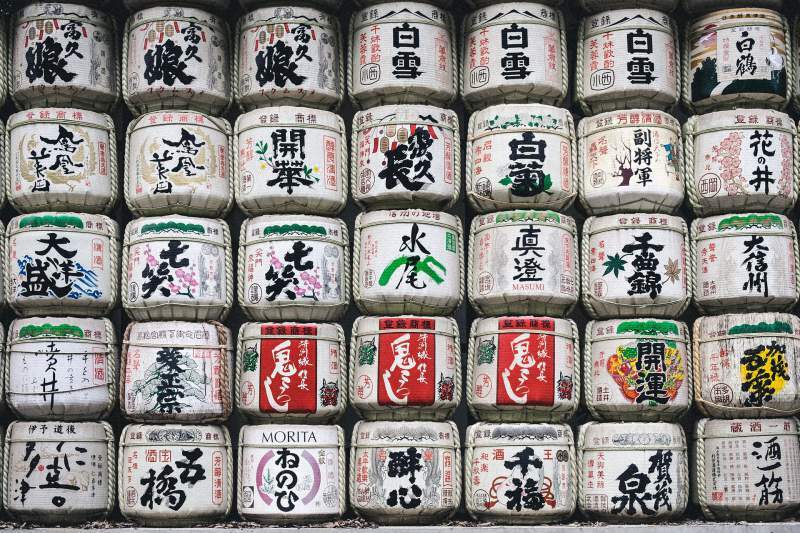 It’s actually quite difficult to summarize just everything Japan has to offer in terms of culture—but hopefully, you’ve now got an idea of just how broad Japan’s cultural appeal is, and how much it has to offer a potential learner! Japanese is certainly a challenging language, but it’s far from impossible. In fact, in this section, I’m going to show you why learning Japanese is actually easier than you think. Learning Japanese is mostly about smart study habits, regularly challenging yourself, and keeping a good routine. As I mentioned before, Japanese borrows many loanwords from English, so once you get into the language you’ll be surprised at how many words are already available to you. It takes quite a bit of time compared to, say, French or German, which can be picked up by an English speaker quite well within 6-8 months of dedicated study. That said, the reason Japanese fluency takes a bit longer is simply because there’s a lot to learn. It’s important to remember that it’s not necessarily HARD to learn. Once you get past the initial hurdles, you’ll realize that actually learning Japanese is quite fun and not all that difficult. It’s just that there is a massive amount of information to learn and this, naturally, takes time! This is why regular and efficient study habits are especially important for Japanese: you need to always be making a little bit of progress every day—because there’s a lot of progress to make! Try to stay focused and make sure your study is carefully directed so you don’t end up losing motivation. Yet, despite all this, there are some persistent myths about the difficulty of Japanese, which can be intimidating for beginners and those considering taking up the language. But in truth, most of these myths are simply not true. Let’s take a closer look at a few of them. Myth #1: Kanji Is Almost Impossible To Learn - There Are Too Many Characters! Kanji is one of three elements used in the Japanese writing system. They are a set of characters that have been adopted from the Chinese writing system and are used together with the Japanese hiragana and katakana characters. There are many kanji to learn but you don’t actually have to learn a lot of kanji to become conversational in the language. After all, Japanese children learn to speak the language long before they have an advanced mastery of kanji. Additionally, kanji is easier to learn the longer you study it. At first, figuring it out might be tricky, but once you get a little experience under your belt, it’s easy to quickly commit new characters to memory. 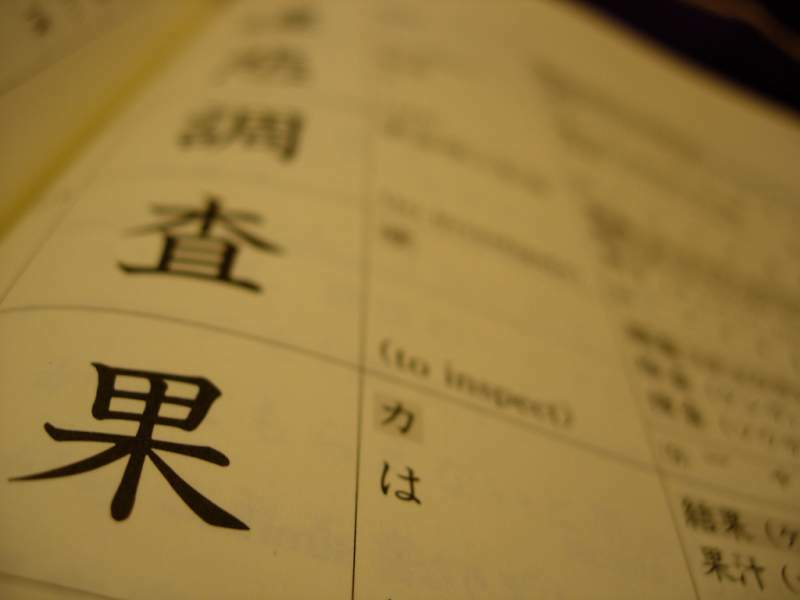 Did you know that even native Japanese speakers forget kanji characters sometimes? In fact, it's one of the most reliable conversation topics among native speakers - "How do you write that word?" - often leading to long discussions and frantic dictionary-checking. The good news is that all kanji knowledge is cumulative. The more kanji you learn, the more words you know. And the more kanji you know, the faster you learn new words. Japanese grammar is different than what you’re used to in English.But the logic underpinning it is not. Japanese people think, talk about, and do the same things you do. They just express their ideas in a slightly different way. Japanese grammar will seem alien and confusing at first but that’s normal - you’re just not used to it yet! Just try your best at it and work on getting a little bit better each day. Most Japanese people will just be amazed and impressed that you are going to the trouble of learning their language in the first place. They are aware that it can be difficult - (because Japanese people struggle with English too!) - and you don’t have to worry about them making fun of you. Experience has taught me that people are rarely judgemental when it comes to foreigners speaking their language. They appreciate that they’re making the effort and they want you to succeed. The Japanese have a reputation for politeness, which carries over into how they speak. Often, words or even parts of sentences are omitted so as to not tread on someone’s feelings, or to help mitigate awkward situations. This gives some learners the impression that Japanese, as a language, is very vague. The truth is that Japanese is perfectly capable of being very direct; but due to social norms, it’s frequently impolite to speak frankly. A second concern is the nature of social hierarchy in Japan and the appropriate manner of speaking to those who are above or below you in social status. The most important thing to remember is this: the Japanese have different standards for native speakers than they do for non-native speakers. As a non-native speaker, you are not generally expected to speak with the appropriate politeness level at all times. When you are in the early stages of your Japanese learning, don’t be afraid to make mistakes or worry too much about sounding rude. It’s worth learning how to ask a native speaker for help with politeness, but in general, don’t worry too much about formality early on—just focus on enjoying and learning the language. So after many years of learning Japanese myself, what's my best tip? This sounds overwhelming at first, but once you understand each one and the context in which they are used, it’s actually quite easy to understand. Be aware, however, that kanji will not always look like what they represent. Why Does Japanese Use Kanji? While we’re on the subject of kanji here, let’s look briefly at this integral aspect of Japanese. Mastering kanji is easily the most challenging part of Japanese, and learning it properly requires commitment— but it is entirely within your grasp! More importantly, let’s discuss exactly why Japanese uses kanji. Secondly, kanji helps to condense the language, make it very information-dense and easier to read. Japanese can pack more information into a limited space than most other languages can. The fact of the matter is that hiragana is actually quite difficult to read by itself, so kanji is used to speed up reading. This may seem strange as beginner struggling to get your head around the characters, but once you’ve started to get the hang of them you’ll notice the difference they make. Japanese does not use any spaces between words, so another of the primary functions of kanji is to help distinguish where words begin and end. So, in a nutshell, why use kanji? Once you are used to it, it’s faster, easier to read, and makes the meanings of words more apparent— because hiragana on its own can be very vague and even difficult to read. The Japanese are well-aware of the difficulty of kanji, and so in certain books and TV shows, etc. the kanji will have their phonetic pronunciations written over them, (this is known as furigana). While furigana are generally meant for Japanese children who may know words but lack sufficient knowledge of kanji to read them comfortably, they’re actually wonderful for language learners as well! When you are looking for reading material, make sure you check to see if furigana is available, as they will no doubt aid you in the early stages of learning to read Japanese. 1. Study Every Day: Carve out some time to sit down and focus on Japanese for at least 20 minutes each day. If you can find more time, great! Don’t try to force yourself to study too much at once, or you might burn yourself out or become overwhelmed. Break your study goals down into reasonable chunks and work towards them a little each day. The writing system takes time to learn, but with consistent practice you’ll soon get the hang of it. 2. With Kanji, Learn The Radicals First: Kanji characters are made up of different elements. One of these elements is a set of characters called radicals. There are 214 radicals and these are the base characters from which all other more advanced characters are built. When you tackle kanji, learn these radicals first. It will then be much easier to go on and learn the other characters and the words themselves. 3. Engage in ACTIVE learning: Don’t let yourself get stuck in the same study routine. Regularly expose yourself to new materials and try different learning exercises. Some days you can practice writing the characters out on a page, other days you could mix things up by studying characters with flashcards or practising some reading. If you’re not putting yourself outside your comfort zone regularly, your progress will be much slower! 4. Beware Of Beginner And Intermediate Plateaus: There are two common plateau phases in Japanese and both are closely tied to learning the writing system. The first plateau is when you finish learning hiragana/katakana and suddenly feel as though you are making much slower progress than before. This is one of the most critical phases for staying motivated. Your rate of progress will feel slower but stick with it and you will quickly adjust. The second plateau comes once you have a mastery of grammar and have to focus on mastering kanji and increasing your vocabulary. This second plateau isn’t something you’ll have to worry about for a long while; once you start to figure out a routine for learning kanji you’re well on your way. But when you do reach this plateau, the important thing to do is to start consuming as much Japanese-language material as you can and learning new kanji. 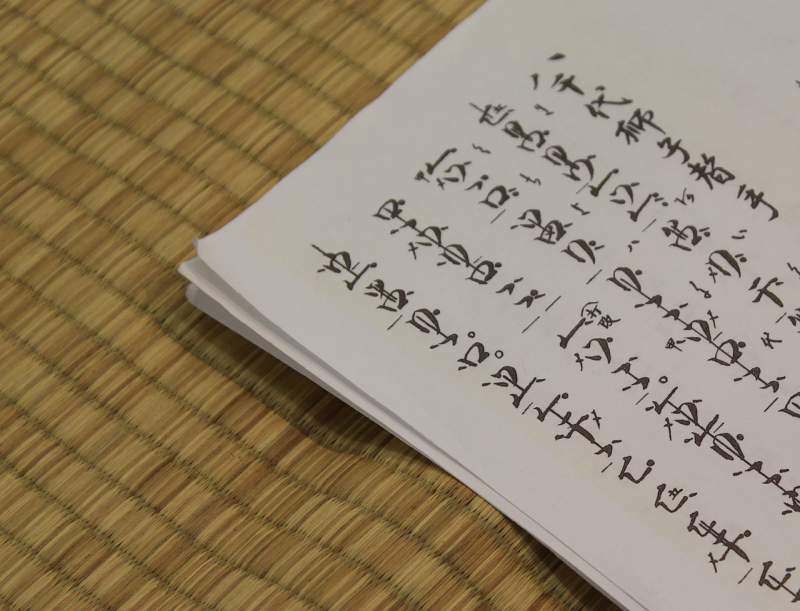 For a deeper look at how to write in Japanese, read this article. Japanese is a tricky language to get started with. Frankly, getting started with Japanese might be the hardest part. Once you’re past the start, the rest is mostly smooth sailing. So I want to talk about a few traps that beginners fall into. There is a LOT of knowledge to cover in Japanese, and the fastest way to burn yourself out is to try and learn too fast. Take it at a pace where you feel comfortable but also challenge yourself regularly. Remember that in order to achieve fluency, you need to build a strong foundation in the basics of the language. Don’t underestimate the power of repetition for doing that. Take your time, enjoy the journey and don’t try to cram the whole language into your head in just a month or two. You’ll just frustrate yourself and probably ending up giving up. Japanese is a very rich and deep language— think of it as a marathon and not a sprint to the finish line. Kanji is really a part of Japanese best learned gradaully. You start learning easy kanji at the beginner level, but you don't have to. Personally, I learned kanji gradually but prioritised hiragana/katakana and speaking. 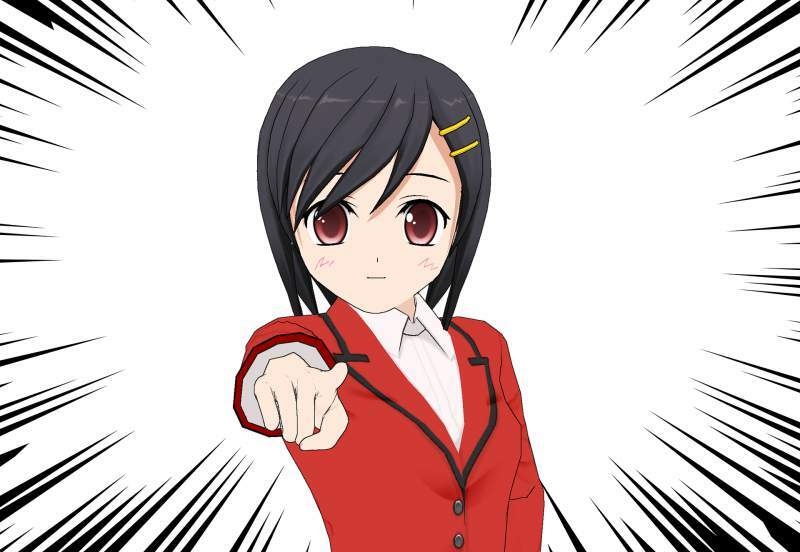 I promise you… you will spend plenty of time studying kanji later on! So don’t rush yourself into it, and start studying it when you feel comfortable with the basics and are ready to move on to intermediate level materials. I’m probably going to upset some people with this one, but hear me out! It’s perfectly fine if your end goal is to read manga or watch anime without subtitles, but I strongly recommended you do not try to use these things as a beginner learning resource. The reason being that even ‘easy’ anime/manga is actually going to require a somewhat advanced level of Japanese. If manga is what you love, then you should read it whenever you want, just be aware that it will be quite challenging as a beginner. Entertainment media often involves non-standard grammar and casual expressions which can rapidly overwhelm a new learner and leave them lost and confused. Once you get to the intermediate level, anime/manga are a great way to learn if you really like them and they can help keep you motivated to learn. But be warned that the way characters speak in fiction is often very different from how people talk in real life. If you can find people in your local community who speak Japanese, or if you have a family member/friend who is Japanese, you are in good shape! And if not, you can find partners online to practise speaking with. Many people can’t find someone to practice with or find speaking intimidating, so they neglect it. Big mistake!! Your progress in the language will be MUCH faster if you have regular assistance from a native speaker, rather than trying to work everything out by yourself! 1. 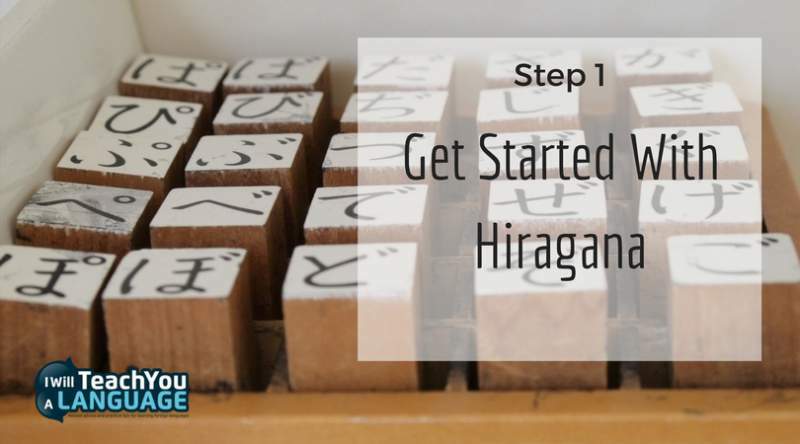 Get Started With Hiragana! This is really the first and most important step. Start today, start now! Hiragana is fun and easy to learn, and you will feel like you’re making great progress while you’re learning it. It doesn’t take long, and if you’re serious about learning Japanese, this is the true starting point. Once you’ve picked up hiragana, learning katakana is just a step away and shouldn’t take you long either. Once you’ve got a grip on hiragana and katakana, it’s time to get yourself a good textbook. A good textbook will help you consolidate what you have learned in your conversations or from your teacher. Textbooks are great for clarifying your understanding and teaching you the fundamentals of Japanese. 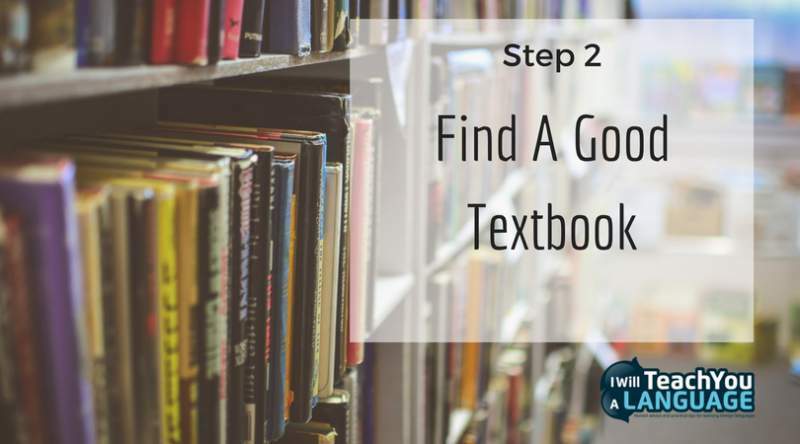 Take some time to find a textbook you like and will want to use - you want to find something that will motivate you to sit down and learn. The de facto standard for Japanese textbooks is Genki, but take heed— Genki is generally meant for a classroom environment and is not well-suited for self-study students. Instead, I recommend the Japanese from Zero series. Japanese grammar can feel very alien at first because of its structure, which is very different from what you’re used to English. What’s important is that you really just get started learning and don’t be discouraged. Japanese grammar can be tough, and even the Japanese know this. When you’re speaking to a native Japanese speaker, they are most likely just going to be impressed you’re learning their language. So, don’t be afraid to mess up! This should be your mantra when learning Japanese. You will make mistakes. Embrace them and learn from them, and don’t give up! Japanese grammar simply takes time to get used to. The best way to learn it faster is with lots of listening to Japanese, paying attention to how native speakers use grammar and express themselves. Over time, this will filter through naturally into your own speaking. 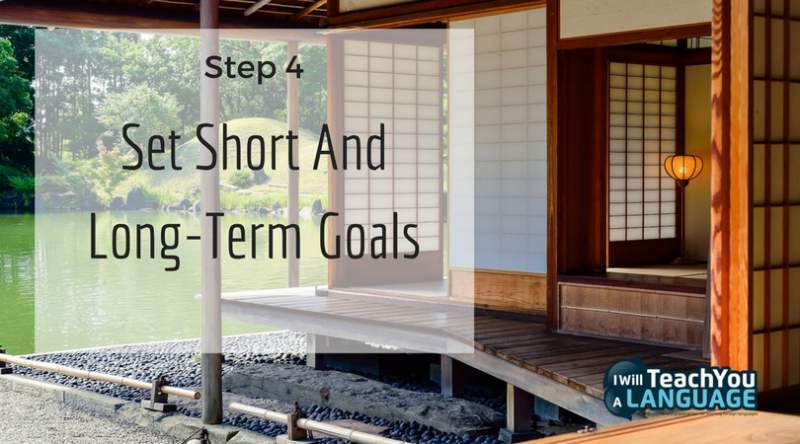 Identifying your goals will help you stay on-target and help you figure out what you need to focus on at each stage of your Japanese learning. One of the biggest dangers with Japanese (or any language) is losing focus and not knowing what to do next. This is especially critical in the early stages of learning Japanese. Once you’re fairly comfortable, start looking into Japanese materials that interest you—such as TV shows, books, games, comics, etc. At this point, you will have reached an upper-intermediate/advanced level! The final and most important step in learning Japanese is practising using it with real people! No matter how much you study, you’ll learn things from conversations that you simply can pick up in a textbook or by watching you favourite anime shows. You can search online for language meet-up events or look for conversation partners on sites like conversationexchange.com (face to face language exchanges tend to be more serious and last longer). There are also a number of language exchange apps and websites which you can use to find language partners from around the world. This means it’s easy to find language partners to practice with online even if you can’t find an in-person meet-up. My personal favourite is italki, where you can find language partners or hire private language tutoring in Japanese. There is a very wide variety of materials available for helping English speakers learn Japanese. Perhaps more so than any other language aside from English, you will find dedicated and passionate learners of Japanese who have used their knowledge to craft a plethora of high-quality learning materials to help others get into the language.To close out this article, I’m going to provide you with a nice big list of resources to help you along the way. To close out this article, I’m going to provide you with a nice big list of resources to help you along the way. Whether you plan to learn Japanese online, or you prefer to use traditional materials, I'm confident you'll find some great resources here to help you get started. Master Japanese -My friend John Fotheringham has written the definitive guide to learning Japanese. Forget textbooks. 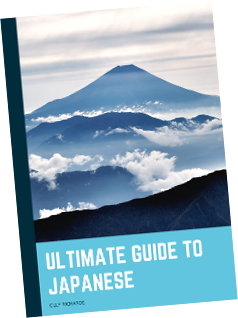 This guide not only gives you everything you need to learn Japanese but also how to learn it - the most important thing of all. Whatever stage of learning Japanese you're at, I recommend you pick up a copy of Master Japanese before you go any further. Japanese from Zero series (Beginners) - If you're looking for a textbook, I believe this is one of the best and most comprehensive ones available for beginners. In a nutshell, it does exactly what it says on the cover - taking your from zero up to a level where you can start to use Japanese and move on to more complex materials. Tobira - If you enjoy the textbook approach, once you’ve finished an entry-level textbook and are feeling confident in your mastery of beginner Japanese, the best intermediate textbook is Tobira. This is a textbook that takes a more ‘hands-off’ approach and eases you into intermediate/advanced Japanese. While it can be used in a classroom, they offer plenty of online resources for self-study learners. Japanese The Manga Way - This is a particularly excellent book for starting out with grammar. It breaks down grammar in a way that is fun and easy to understand, using examples from Japanese comics to teach you basic grammar and some advanced grammar as well. italki - This is my favourite website for finding teachers and affordable tutors to help practise my Japanese. I use italki literally every day to get that all-important speaking practice that helps me stay fluent. Conversations - Do you struggle to understand fast, spoken Japanese? 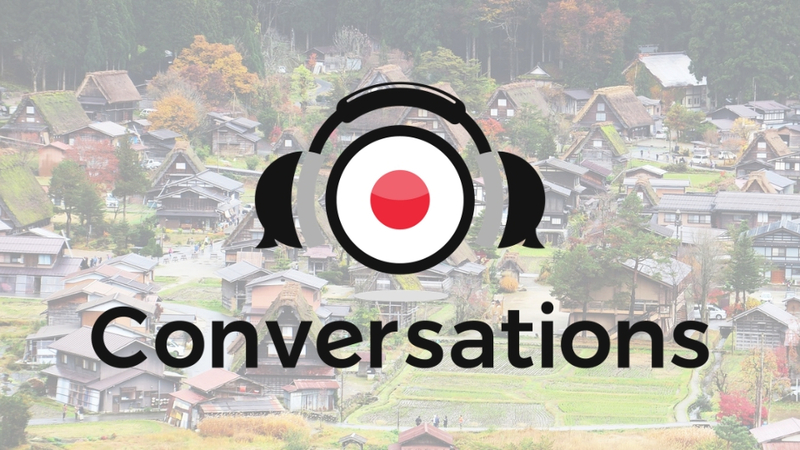 Conversations helps you understand real Japanese & transform your listening skills in less than 90 days. NHK — Here’s my “secret weapon” for beginning/intermediate Japanese learners. The NHK, the major news network in Japan, offers this website with all of their news stories rendered in simple language with furigana. This site is EXCELLENT because it offers interesting and current news in a format that is digestible once you have a basic grasp of hiragana. They also offer audio transcripts! How To Learn Hiragana: Many people see the hiragana and think they are the hardest marks they've ever seen. As a beginner, they're confusing and intimidating. But here's the good news. They're not hard. In fact, with the right techniques, you can learn and remember them in 1.5 hours or less. You just need to know how. My friend Anthony and I have created a course that shows you how. You'll learn powerful memory techniques that will allow to finally master hiragana. HiNative - This is a site where you can go to ask quick questions about anything you might be confused about, and get your questions answered by native speakers. HiNative is great because it also has a smartphone app, so you can use it at home or on the go for all your language questions. Jisho - Jisho is a Japanese-to-English dictionary and in my opinion, it's the best of its kind. The only trick is that you will need to know hiragana before you can use it. This only online Japanese dictionary you'll ever need! Now You’re Ready To Start Learning Japanese! Follow the tips in this article and you’ll be speaking Japanese in no time! I’ve provided you with a roadmap and resources to help you on the way, and now the rest is up to you! The journey to fluency in Japanese is a long one, and the right mindset is important. Be patient and don’t be discouraged by your mistakes early on. In fact, the more mistakes you make, the faster you’ll find yourself improving. The study of Japanese is a long journey, but the results are truly worth it. Japanese has so many hidden treasures to offer learners. Not only does it offer deeper knowledge of Japan and its culture, it also provides possibilities for broadening your own horizons through travel and employment opportunities. Even more so, learning Japanese will improve you as a person. It will expand your perspective on language, challenge the way you think about your own native language, test your memory and self-discipline, and make you think about things in ways you never have before! And if you can learn Japanese, you can learn almost any other language! You’ll also have a significant advantage in learning other East Asian languages such as Chinese or Korean. As you can see, learning Japanese comes with plenty of benefits and ways to enrich your life as a whole. Japanese may seem like an impossible task at first, but I hope you can see that it’s not as hard as you might have thought. The truth is that you don’t have to be a genius to learn Japanese—you just have to stay motivated, challenge yourself, and practice every day! Time will take care of the rest. I know this is a long post and it’s difficult to take everything in all at once. That’s why I’ve created a special PDF version which you can download and refer to any time you need it! And if you download the PDF, I’ll send you even more tips to help you as you continue learning Japanese. I've created a range of high-quality learning materials to help you achieve fluency in Japanese, whether you're at the beginner, intermediate or advanced level. Many people see the hiragana and think they are the hardest marks they’ve ever seen. As a beginner, they’re confusing and intimidating. But here’s the good news. They’re not hard. In fact, with the right techniques, you can learn and remember them in 1.5 hours or less. You just need to know how. My friend Anthony and I have created a course that shows you how. You’ll learn powerful memory techniques that will allow to finally master hiragana.